Ontario - Canada: With over 120 wineries in four wine regions to choose from, there’s so much to see and do. Explore charming towns and historic villages with quaint boutiques, shops and galleries. Surrounded by charming vineyards and beautiful architecture, revel in one-of-a-kind festivals and special wine country events. Stellenbosch - South Africa: Such a civilized way to spend a day in such a spectacular landscape…We picnicked on a centuries old wine estate, quaffing smooth Pinotage reds from the surrounding vines and surrounded by imposing mountains, beneath which nestled dazzling white Cape Dutch farms. Victoria – Australia: Victoria boasts over 850 wineries in embarrassment of riches, of which 650 have cellar doors, in 21 distinct wine regions. Enjoy cellar door tastings and dine on local produce at winery restaurants. From the cool-climate varieties of the Yarra Valley to the big reds of Rutherglen, create your own Victorian wine experience. Marlborough – New Zealand: The Sauvignons from this top right hand corner of South Island New Zealand are superlative. The city of Blenheim is at the region’s heart, and is just a short 20 minute drive from the breathtaking beauty of the Marlborough Sounds. It’s New Zealand’s largest wine growing region with 10,000 hectares of grapes. Douro Valley – Portugal: I have a confession to make. This is the only place that I have been tipsy before lunch…Arriving on an early morning flight, we toured some of the great Port Lodges that line the River Douro in Oporto and the heady combination of the fumes and the sampling made us put our afternoon touring plans on hold! Chablis – France: As we sat in an ancient inn in this sleepy little town in north central France relishing one of the finest meals I can recall, we sipped a Grand Cru Chablis that was simply divine. The waiter, noticing our contentment, pointed out of the window to the very vineyard where this Nectar of the Gods was harvested. Heaven on earth! Jerez – Spain: This is Sherry Country in southwest Spain, centred around Jerez, the town that gave its name to this nectar. How did they come up with the idea of fortifying wines after fermentation is complete with brandy in the first place? I am just very glad that they did. Sahara dry to honey sweet, these wines are hugely underrated. Wachau Valley – Austria: As we gently ascended the Danube aboard our river boat, so our tutored wine tasting of these fine Austrian wines took on new meaning as our teacher was able to point across the deck to the riverside slopes verdant with vineyards. 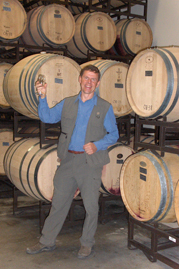 Crisp, fresh white wines from small family estates are little known treasures. Rhine Valley – Germany: Such a range of wines from such a romantic destination…Castles and medieval villages dot the steep slopes of the mighty Rhine where vineyards on impossible angles produce wines that have been loved from Roman times two thousand years ago to the present day. History and wine in perfect combination! Grand Junction – Colorado: Who knew? 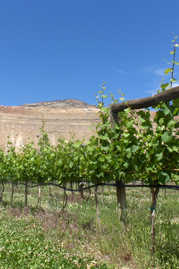 Tucked away in the west of this high altitude state as you emerge from the sheer cliffs and canyons of the young Colorado River, lies a group of vineyards producing excellent wines. Best of all, they have restaurants where you can enjoy the fruits of the vine whilst looking up at the great red cliffs.